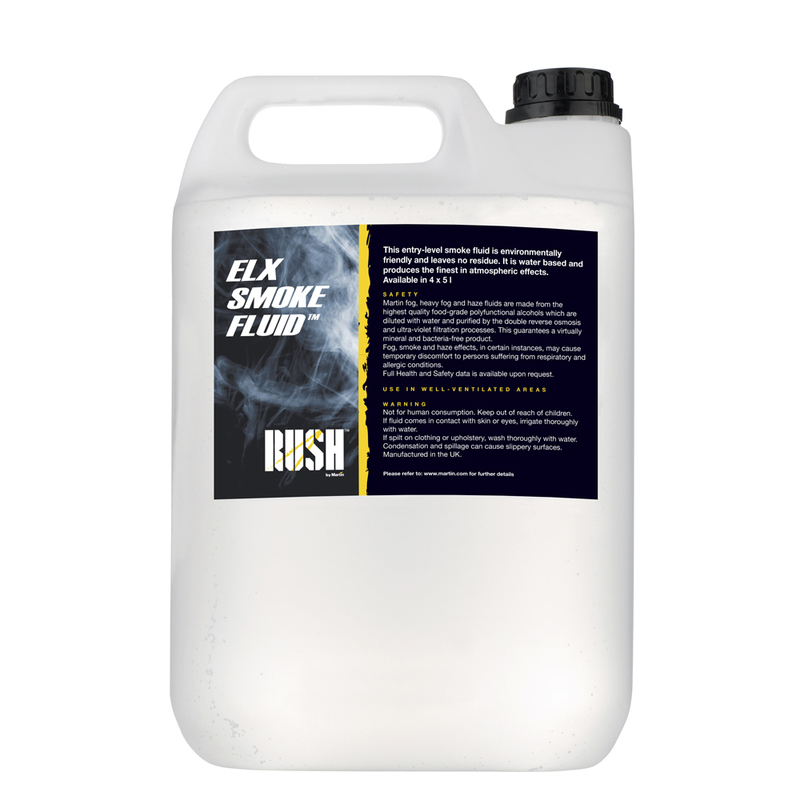 RUSH ELX entry-level smoke fluid is environmentally friendly and leaves no residue. 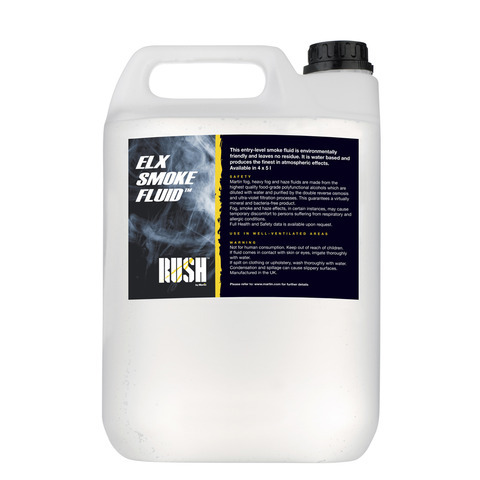 It is water based and produces the finest in atmospheric effects. Available in 4 x 5 l containers.